It may be small in size, but Wales serves up some seriously beautiful countryside, coastlines, and national parks. Jam-packed with culture and hidden history, Wales is by far one of the most picturesque and charming destinations in Britain. Llandudno is the biggest seaside resort in Wales and is hailed as the ‘Queen of the Welsh resorts’ due to its endless sandy beaches and its charismatic Victorian towns. One of Llandudno’s most popular attractions is the Great Orme, a limestone headland that runs along it, the last cable tramway in the UK. With spectacular views of the north Welsh coastline, the Great Orme is one of the most scenic locations in Wales and contributes to Llandudno’s beautiful history. 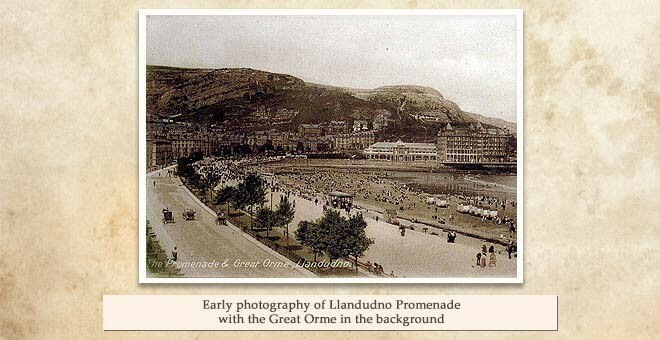 Llandudno was developed as a seaside town around 1848 when Owen Williams, an architect and surveyor from Liverpool, presented Lord Mostyn (a Welsh aristocrat) with plans to develop the marshlands behind Llandudno Bay as a holiday resort. These were enthusiastically pursued by Lord Mostyn and developed into the seaside town that it is today. 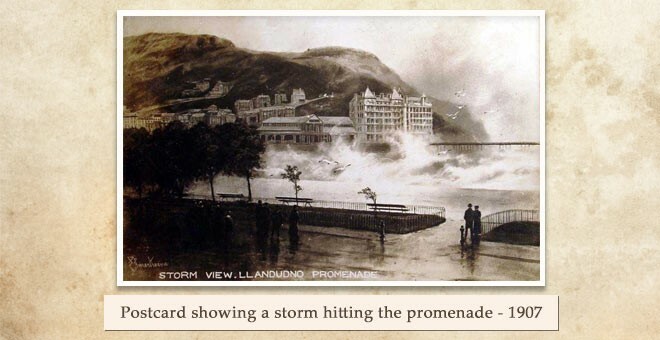 As well as being developed into a seaside resort, the town of Llandudno in the 1800s had a part to play in the mining industry with a great majority of the men working in the copper mines, while others were employed in fishing and subsistence agriculture. 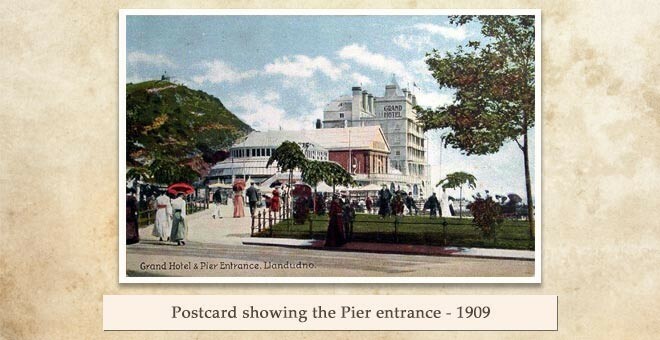 The town of Llandudno was specifically built as a mid-Victorian era holiday destination and saw tourists visiting from Wales and England due to a railway line that opened in 1858 from Llandudno Junction with stations at Deganwy. The Grand Hotel, nestled at the foot of the Great Orme next to Llandudno’s pier, is a landmark which holds historical significance. 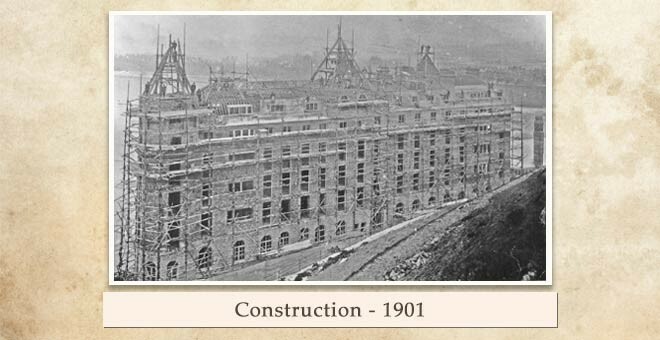 The history of the hotel began in 1900 when Liverpool-based architect J Francis Doyle first drew up the designs for a building to replace The Baths Hotel on Llandudno sea front. The following year, the new building was constructed on the same spot, directly built on Llandudno’s sweeping bay front. Built to dominate the Llandudno seafront, The Grand Hotel was one of the biggest hotels of its time in North Wales with 168 rooms. 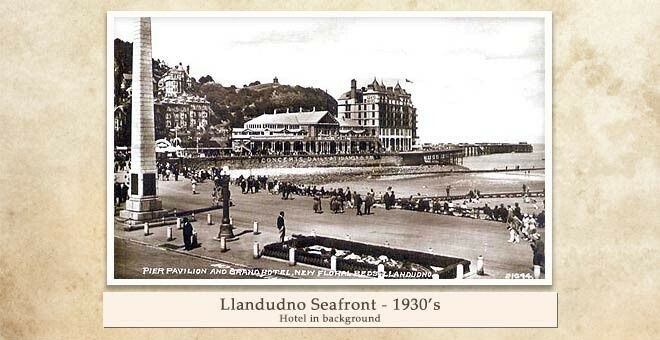 To this day it remains as one of most striking buildings on the famous Llandudno North Shore Promenade with over 100 en-suite rooms across six floors. The Hotel features a distinctive roofline, ornamented with pyramid structures and towers across its different sections. This paired with the size of the hotel itself makes it not only noticeable, but also a must-see when visiting the North Welsh coastline. 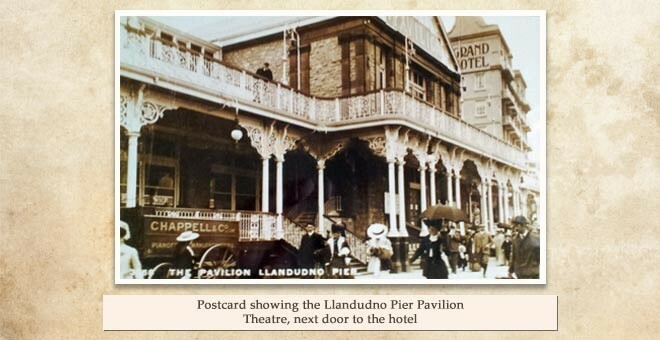 Setting aside the impressive architecture of The Grand Llandudno, the hotel contains plenty of history of its own. During World War II, the hotel was one of the many ‘safe havens’ for citizens escaping the London Blitz. It was also chosen by Inland Revenue employees as a temporary base for two of its departments to ensure service continued to be provided as usual. The Grand Hotel has housed a number of prominent names throughout the years, ranging from Prime Minister Winston Churchill, who visited for a Conservative Party Conference that saw the start of Margaret Thatcher’s career, to The Beatles, Stephen Fry, Lily Langtry and Sir Oswald Mosley among several others. The hotel is a Hollywood star itself as it has provided a scenic background in two full-length feature films – 1952’s The Card, starring Alec Guinness, and 1979’s Yanks, staring Richard Gere, as well as a number of others. 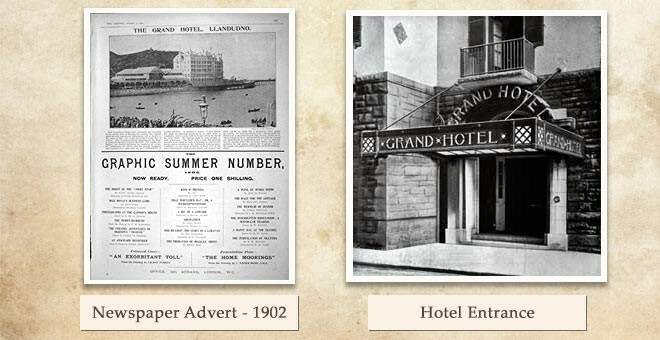 The Grand Llandudno may not be our most famous hotel or as longstanding as some of our properties, but its understated historic significance within the area makes it more than worth a visit when staying in North Wales.